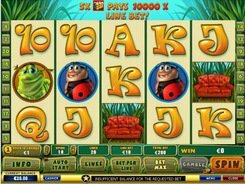 The cartoon-style Happy Bugs slot machine is crafted with five reels and twenty paylines. You encounter the symbols of a flower, a sofa, beer, insects and regular playing card symbols. A bet per spin varies from one cent to $1000. 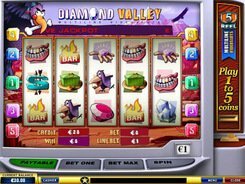 On placing up the maximum possible bet, you could get a million-dollar fixed jackpot. The grand award is paid out for five beer cans occurred on any active payline. The less your bet per spin, the lower your cash prize is. The Beer Can is the wild symbol that replaces other regular symbols and helps create winning combinations. 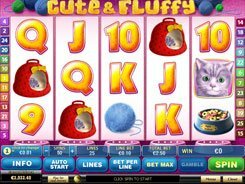 Three scatter symbols (Flower) give 12 free spins. 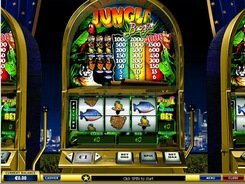 Here your winnings are multiplied x3 your original bet per spin. Beer Bonus game consists of two levels. Select beer mugs to reveal awards that will be increased up to x27 times. 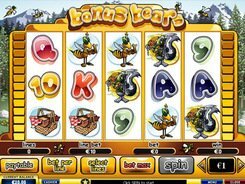 When you get a certain number of points in level 1, you will move to the second level during which you will have to select between two bugs to win a multiplier for the first level's winnings. PLAY FOR REAL MONEY!